Total time for examination was 150 minutes. CAT 2007 paper was tough, with no section providing much of a respite to the aspirants. Overall, even though the paper did not pose any surprise, pattern wise, with the number of questions remaining 75 as last year, the level of difficulty was increased by at least two to three notches. Quantitative Ability (QA) proved to be mind bogglingly difficult for the average student. Algebra and Arithmetic comprised almost 60% of the questions while Geometry took a back seat. Modern Math questions were relatively less time-consuming but required clarity in fundamental concepts. Data Sufficiency questions appeared in this section after a long time. Some of them were also quite tough and confusing. 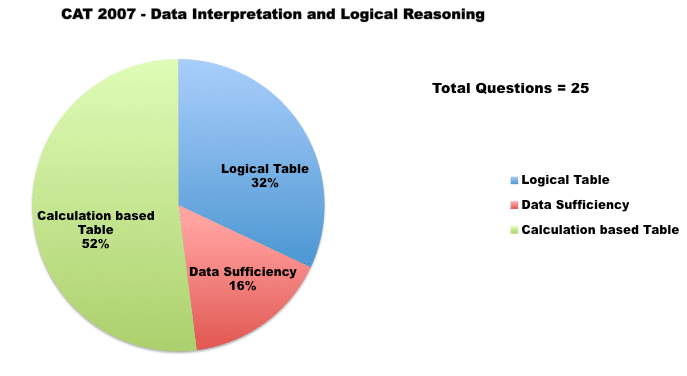 Data Interpretation (DI) was comparatively easier section of CAT 2007. The stress was on logic rather than mere calculations. This section had 21 DI questions and 4 Data Sufficiency (DS) questions. DS questions were easy as mere comprehension was sufficient to answer the question. All the sets in Data Interpretation were based on simple or intensive calculation. 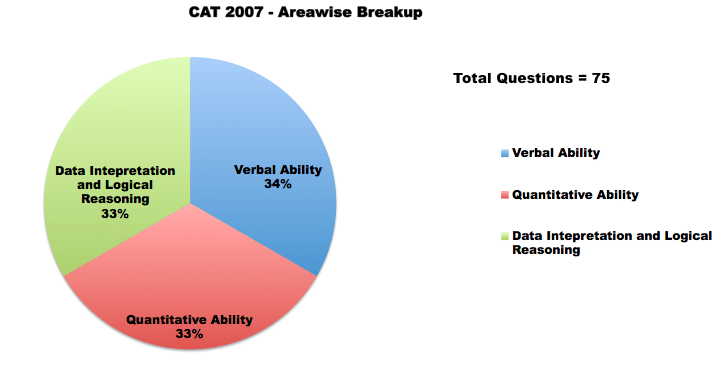 CAT 2007 Verbal Ability section had 4 RCs (with 3 questions each) as compared to 3 (with 5 questions each) in CAT 2006. Passages were fairly short, and except for one passage, quite easy to read. The questions ranged from very simple and direct to challenging and inferential ones. 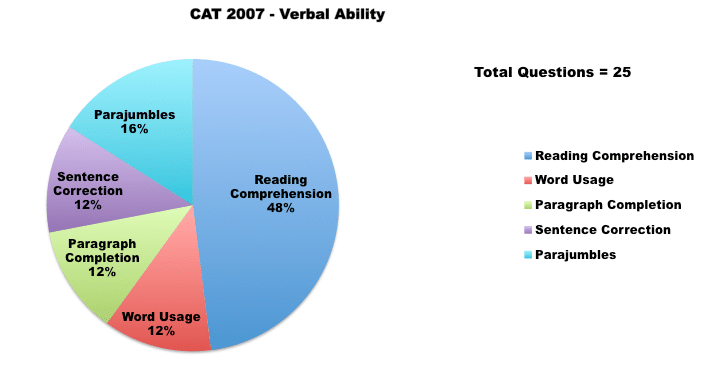 Grammar, Jumbled paragraphs and Vocabulary were re-introduced in CAT 2007. Overall, this section was of medium difficulty and slightly easier than CAT 2006. A student with good language concepts and reading skills should not have faced any insurmountable difficulties here.